Jasmine Galleria (Lombard, IL) is thrilled to be hosting a local contest, where girls between the ages of 14-18, can enter for a chance to win the Ultimate Prom Package! *First place will win a KASEY J. prom dress, shoes, jewelry, handbag, hair/makeup services, and corsage/boutonniere—all for the day of Prom! *Third place will win a clutch. 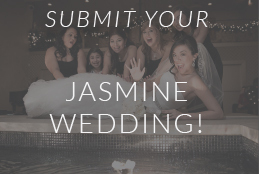 If you live in Chicagoland and you’d like to enter visit our store Jasmine Galleria in Lombard, IL where you will pick your favorite Kasey J. gown in which you will be photographed in on our catwalk! You will need to fill out the contest’s registration forms as well. You may enter the contest by visiting Jasmine Galleria (Lombard, IL) from now until March 31st, 2014 at 8 pm (central time). On April 1st, 2014 at 12:01 am (central time), Jasmine Galleria will post all of the *qualifying contestants images to Jasmine Galleria’s Facebook page along with the link to vote. Voting will end on April 6th, 2014 at 11: 59 PM (central time). The girl with the most votes wins the contest. First, second, and third place winners will be notified on April 7th, 2014. This contest is exclusive to Jasmine Galleria, located at 2840 S. Highland Ave. Lombard, IL 60148. Please visit Jasmine Galleria in Lombard, IL to enter contest. 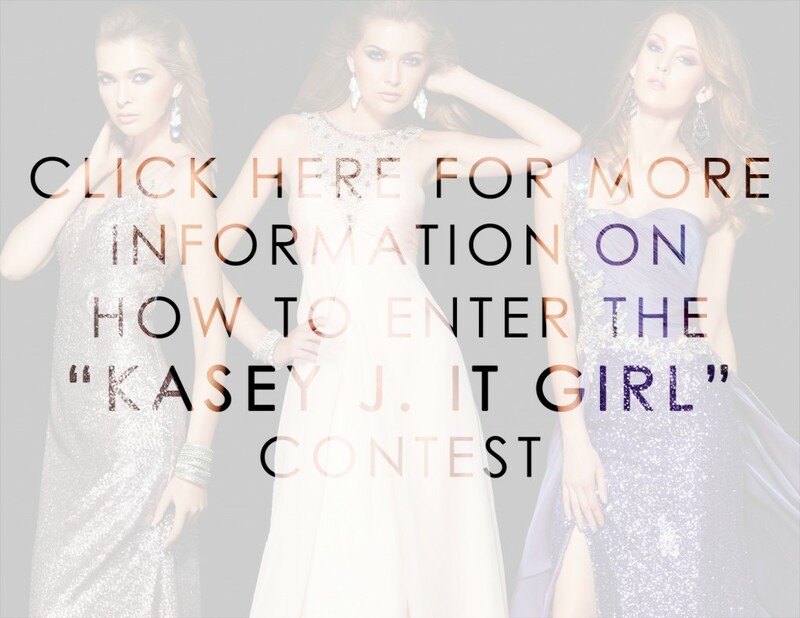 All entrants must try on Kasey J. gown in-store at Jasmine Galleria (Lombard, IL) to be eligible to participate. Hello, My name is Grace Yerman and I am currently a Senior at Laguna Creek High School in Elk Grove, California. I am 17 years old and I am reaching out to you for help. Before I ask for your help allow me to give you some background on myself… I am the youngest of three. My brother is 23 and my sister is 21. So, they are both out of the house and support themselves. But, my mom is a single mom who works from 9 in the morning till 9 at night. I only see my mom when I am leaving for school and right before I am going to sleep. My mom has had to pay for everything due to the fact my father is not involved and I have not spoken to him in YEARS. It is also due to the fact that my sister was born profoundly deaf and my mom has had to pay for all her medical bills and testing. I also have very extreme asthma and I am hospitalized at least once a year for a minimum of a week. The past year I was in the hospital twice for a week at a time because my lungs would just not cooperate with my body. My mom is now dealing with all of those recent medical bills. This year is my senior ball. The prom that all girls dream of! My prom is April 9, 2016. I am so excited but, I have one problem… A dress. The dress is the main part of a girls prom, it can make it or break it. But, this year my mom told me she wouldn’t be able to afford a prom dress for me. And this isn’t the first time I have had to give something up due to financial problems. I have always been the girl that had to wait after class to tell her teacher she can’t buy her books, pay for the field trip, or can’t attend something because I didn’t have a ride to an event due to my mom working. Now, please let me clarify my mom has always worked so very hard to give me and my siblings everything we need and want. My mom has always put us in a very nice home, and in very nice and respectable schools. She has worked overtime just to ensure that we could play on sport teams. I have been on the dance team, Varsity Cheer team, and the volleyball team. But, people are mean… I have been bullied and made fun of due to the fact I didn’t have the brand name clothes, my health problems, and the biggest one is my teeth. I do not have the straightest teeth and people notice that very quickly and attack it because, I am VERY SELF-CONSCIOUS about it. I am the type of person when someone says something I act like I don’t care and then I go home and cry for hours. Now, I’m not looking to be a charity case at all. But, I would do anything to feel and look absolutely beautiful on my prom night. I am asking for your help to get a dress… A Prom Dress. This year’s Prom theme is a Masquerade Ball. Please sponsor me a dress. I would do anything to wear one of your dresses. I am not saying it has to be your most expensive gowns. I don’t have to keep the dress either… Maybe I could just wear it for the night? Please I just want to be beautiful. I want people to look at me as a whole and not just my flaws. I hope you will at least think about it… And, I have also saved $100 of my own money that maybe I could give you to just rent a dress. I hope that will do something. Thank you so much for taking the time to read my email. I hope to hear from you soon.